Auto Accidents: Getting into an auto accident can injure the muscles, tendons and ligaments of your spine. Often, auto accidents to lead to not only acute but long term chronic neck pain, disc injuries, spinal nerve compression, headaches and more. Chiropractors are one of the leading health care providers that help with injuries due to auto accidents. Lifestyle: Poor ergonomics at work or home can lead to pressure and stress being put on your neck and back. Sitting in good ergonomic friendly chairs and using computer products that help raise your monitor to eye level help with better posture. Living an active lifestyle and exercising regularly will help build strong muscles that will aid in less tension being put on your spine. Poor posture: Sitting for long periods of time hunched over put a lot of pressure and strain in your neck and shoulders. Dr. Sayegh of Elevate Chiropractic will help assess your posture and provide tips and exercises that will help correct posture and lead to less neck pain and tension. Muscle Strains: Over use of your neck and muscles and injuries can lead to neck muscle strains. Common ways you can develop muscles strains include: injuries to your neck, hours hunched over your computer or smart phone, reading in bed, grinding your teeth, etc. Arthritis: Just like all joints in the body, your neck joints will wear down with age. Osteoarthritis causes the cartilage or cushions in between the joints of your vertebrae to deteriorate. Your body can then form bone spurs that will affect the way your joints move and lead to pain and even nerve compression. 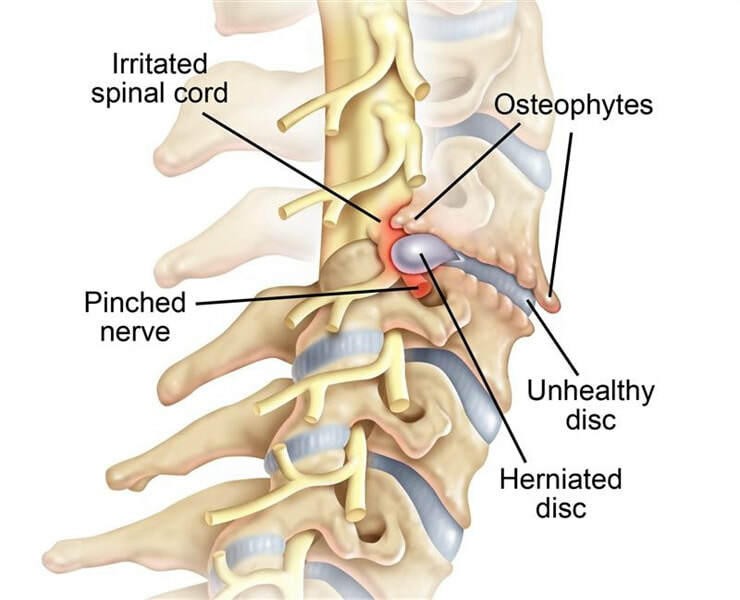 Nerve Compression: Herniated discs in the neck or arthritic joints can cause pressure on the nerves that exit your spine through your spinal cord. Common symptoms of nerve compression include, pain in your neck, pain, numbness, tingling, burning that travels into your arms, hands, fingers, etc. Injuries: Car accidents often result in whiplash injuries of the neck that occur when the head is jerked backwards and then forwards. These fast movements can cause sprain and strain injuries to your spine that can last for years or even throughout your life. 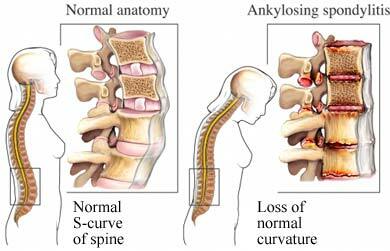 Disease: There are various diseases that can also present and lead to neck pain. Common diseases that lead to neck pain include: Arthritis, rheumatoid arthritis, degenerative disc disease, etc.